Solution: Easier and healthier weight loss, through an alkaline environment! Are you one of the millions of people looking to lose weight? If so, ask yourself this question: How do you measure your progress? If you answered "I step on the scale," then consider this. If you like the way you look and the way your clothes fit, does it really matter what the number is when you step on the scale? What you and millions of others really want isn't weight loss, it's fat loss. But there's a problem. The majority of weight loss products, systems and books on the market today completely overlook one of the leading causes of excess body fat - acidity. Factoid: Did you know it takes approximately 30 glasses of water to neutralize the acid in one can of soda? Your stomach and colon want acid; the rest of your body wants alkaline conditions. And our marvelously made body will do anything to maintain the alkalinity of our blood at a pH reading of 7.3-7.4. As a result, excess acids get directed into the tissues of the body, away from the blood and we start to gain body fat. How does this happen? The body creates fat cells to carry acids away from your vital organs in an effort to protect them. In one sense, your excess body fat is attempting to save your life! But that's also why your body doesn't want to let it go. However, when you focus on helping your body become more alkaline more often, your ability to lose that unwanted body fat becomes much easier. In fact, just increasing your alkalinity alone can cause you to lose fat (and weight). When you look at the typical food and beverage choices most people make today, you can clearly see that most of those choices are acidic to the human body. So, the key to being more alkaline is making different choices. Choosing alkaline foods and beverages for your daily diet is the smartest way to go. And don't forget to avoid physical and mental stress. What?! Let's get real here. Eating nothing but green leafy vegetables and living a stress-free life is NOT realistic in today's world. We're not saying you shouldn't make smarter, more alkaline food and beverage choices on a regular basis. But, stress is part of life and who can say "no" to an occasional slice of pizza or an amazing sugary dessert. Fortunately, there's an easier way to get alkaline - just add water. X2O supports fat loss in 3 ways. 1. X2O helps hydrate your body at the cellular level. Think about it. You've probably never seen a weight loss system or diet program that didn't recommend you drink more water. Why? Because your body needs to be properly hydrated in order for you to be successful in your weight loss goals. Even mild dehydration can slow down your metabolism as much as 30%. When you add an X2O sachet to your water, it provides improved hydration by allowing the water to be more easily absorbed by the body. In addition, X2O delivers vital electrolytes into your water that help improve overall hydration at the cellular level. 2. X2O provides ionic trace minerals which support healthy weight management. Ensuring that your body gets the minerals it needs is not only a vital component of being healthy, it also supports your fat loss and weight loss goals. This is because minerals play a key role in important bodily functions that relate to your metabolism. Minerals have a direct effect on appetite control, blood sugar balance, food cravings, adrenal and thyroid hormone functions, and the use of fat for energy in the body. 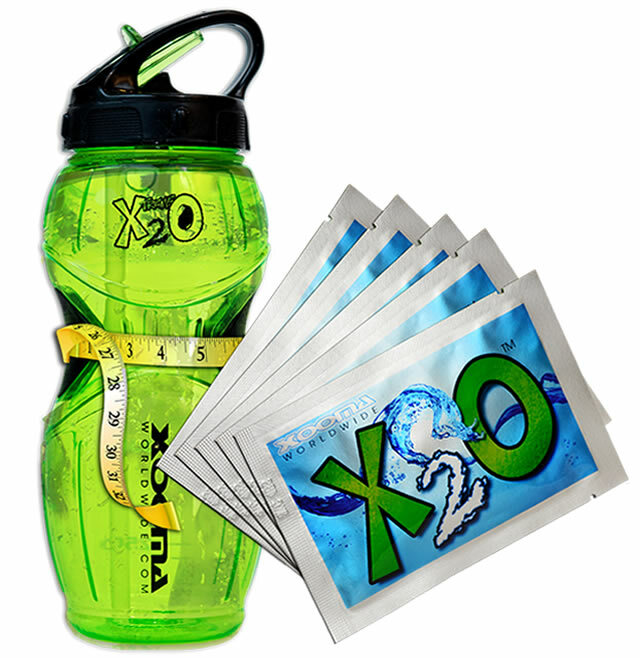 X2O sachets release beneficial trace minerals into your water which can be easily absorbed and used to support your body's metabolic functions. 3. X2O gives your water a healthy alkaline boost which helps you burn fat. If you want to shed excess body fat with less effort, it is important to maintain a healthy pH balance in the body. X2O transforms almost any drinking water into a powerful alkaline beverage which helps fight against the acidic conditions our bodies face every day. With a pH reading of up to 9.9 (in water), X2O helps to neutralize excess acid and promotes the release of those unwanted fat cells. Is excess acidity and poor hydration keeping you from having the body you always wanted? There's only one way to find out. Start eating more alkaline foods more often and add Xooma's X2O to your water every day. X2O can help you transform your body by simply transforming the water you drink. Then see how big a difference you notice in moving toward creating the body you've always wanted! *The statements in this article have not been evaluated by the U.S. Food and Drug Administration. This product is not intended to diagnose, treat, cure or prevent any disease. 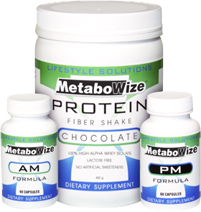 As with any weight management program, proper diet and exercise are necessary to achieve optimal results.